Inspired by Art Deco design, the Fujico Dining Table by Rugiano is hand-crafted by skilled artisans in Italy’s fashion capital, Milan. The round table top can be realised in a wide range of intricate marbles, leathers and varnished woods. The top can also be edged in contrasting textured leather for visual interest. The cylindrical table leg is upholstered in a range of coloured Pelle leathers and positioned on a steel or bronze base. Style with the Princess chair in a shimmering gold leather to create a modern and glamorous dining space. 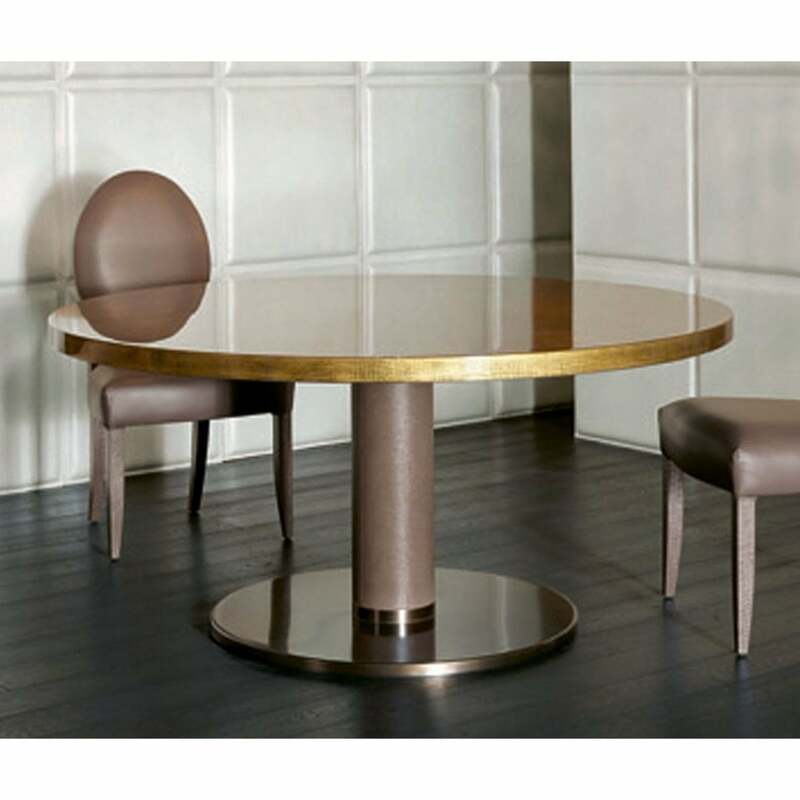 A beautiful addition to a luxurious kitchen diner or a small dining room, the Fujico Round Dining Table is available in three bespoke sizes. Make an enquiry for more information.